Here at Competition BMW of Smithtown, we’re so proud of the men and women of Long Island who choose to serve their country in the United States Military. We firmly believe that the valued members of the U.S. Armed Forces embody the core of the American spirit, and just as you support our country with your commitment to service, so too are we committed to serving you. That’s why we’re happy to announce that eligible members of the U.S. Armed Forces can save on the lease or purchase of a new BMW models when they shop here at Competition BMW of Smithtown. Military members living in the U.S.: Includes USAA members and their families. 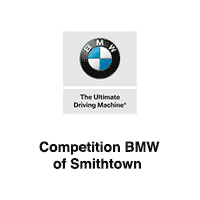 Contact Competition BMW of Smithtown for further details. Military members returning to the U.S.: Includes USAA members and their families returning to the U.S. from abroad within the next six months. Contact Competition BMW of Smithtown for further details. Military Members stationed abroad: Includes USAA members, active military personnel, and their families stationed overseas. Contact Competition BMW of Smithtown for further details. In addition to providing great deals on leasing and financing our new BMW models to qualifying military members, we here at Competition BMW of Smithtown will also happily provide assistance with vehicle modification costs for drivers who need adaptive equipment to operate and enjoy their vehicle. If you have need of this program, make sure to get in touch with us at Competition BMW of Smithtown to inquire about your options under the BMW Mobility Program. Program is open to USAA members who are Property & Casualty eligible. BMW requires presentation of a photo ID and your Exclusive Manufacturer Offer Code Certificate with a unique Customer ID Offer Code. Eligible models must be confirmed with your authorized BMW Center and are subject to change without notice. Amount of discount based on vehicle and finance/lease method. Use of the term member or membership does not convey any eligibility rights for auto and property insurance products, or legal or ownership rights in USAA. Membership eligibility and product restrictions apply and are subject to change. USAA means United States Automobile Association and its affiliates. The BMW Mobility Program provides assistance with vehicle modification costs for customers who require adaptive equipment for their vehicle. Click the link below to find out more. 1Program is open to USAA members who are Property & Casualty eligible. BMW requires presentation of a photo ID and your Exclusive Manufacturer Offer Code Certificate with a unique Customer ID Offer Code. Only eligible New Model Year 2016 and 2017 models are included. Eligible models must be confirmed with your authorized BMW Center and are subject to change without notice. Amount of discount based on vehicle and finance/lease method. Use of the term member or membership does not convey any eligibility rights for auto and property insurance products, or legal or ownership rights in USAA. Membership eligibility and product restrictions apply and are subject to change. USAA means United States Automobile Association and its affiliates.